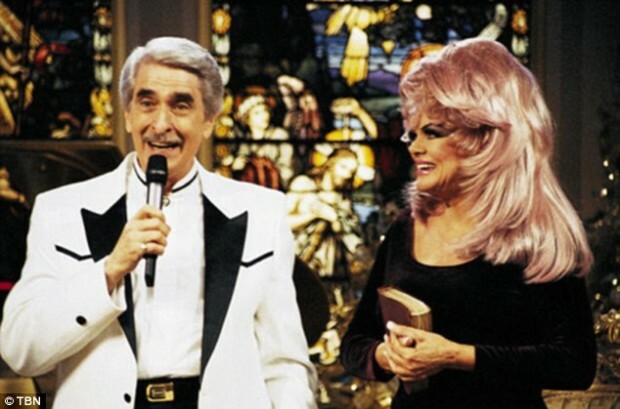 (The Blaze/AP) — Televangelists Paul and Jan Crouch have faced plenty of mountains building their religious broadcast empire — among them allegations of a homosexual tryst and a prolonged battle with the Federal Communications Commission — but the most recent attack on the founders of Trinity Broadcasting Network comes from their own flesh and blood. Their granddaughter, Brittany Koper, recently filed court papers that include allegations of $50 million in financial shenanigans at the world’s largest Christian broadcasting network. Her suit was followed by another from a Koper in-law, who detailed opulent spending at the network on items such as private jets, mansions in California, Tennessee and Florida and a $100,000 mobile home for Jan Crouch’s dogs. The lawsuits came after Koper’s husband was accused by a debt collection company of embezzling more than $1 million from TBN. The debt collection company that filed the lawsuit later added the Crouches’ granddaughter and two of her in-laws as defendants. The outbreak of legal skirmish offers a rare window into the secretive world of the sprawling religious non-profit and exposes a family feud that could draw more outside scrutiny of TBN. Attorneys from both sides say they have contacted police and the Internal Revenue Service. The Crouches founded TBN in 1973 and grew it into an international Christian empire that beams prosperity gospel programming — which promises that if the faithful sacrifice for their belief, God will reward them with material wealth — to every continent but Antarctica 24 hours a day, seven days a week. It has 78 satellites and more than 18,000 television and cable affiliates and owns seven other networks, as well as its headquarters in Costa Mesa in Orange County, an estate outside Nashville called Trinity Music City, USA and the Holy Land Experience, a Christian amusement park in Orlando. On any given day — or night — viewers from the United States to India can watch Christian-inspired news updates, documentaries, movies, talk shows and sermons by preachers such as Benny Hinn, T.D. Jakes and Dr. Creflo Dollar without leaving their armchairs. The lawsuit attention comes at a bad time for TBN, which has seen viewer donations drop steeply. TBN raked in $92 million in donations in 2010 and cleared $175 million in tax-free revenue, but its net income plummeted from nearly $60 million in 2006 to a loss of $18 million in 2010, the most recent year available. Donations fell by nearly $30 million in the same period — a hit the network blames on the bad economy. At the same time, Koper’s father — the eldest Crouch son — resigned abruptly as vice president and chief-of-staff late last year. The unexplained departure of Paul Crouch Jr. roughly coincided with his daughter’s legal battle and came just months after he launched iTBN, a project to expand the network’s online and mobile reach. TBN places a premium on privacy and it’s almost impossible to divine what is going on behind the scenes. Yet televangelist empires built largely on charisma often encounter choppy waters as their founding personalities age. TBN referred requests for comment to its attorney, Colby M. May. Crouch Jr. did not return a call. May dismissed the idea of family turmoil and said the reason behind the legal fight was simple: Koper and her husband stole from the network. “They‘re attempting to create a diversion and to create as much public spectacle as they can in the vain hope that this will all get resolved and that’s simply not going to happen,” he said. TBN’s reach and programming are expansive, but what is more impressive is the amount of money it receives from viewers — even in a downturn. During TBN’s Praise-A-Thon earlier this month, a preacher exhorted viewers to bellow “Fear not!” three times, count down from 10 and then rush to the phone with donations. In exchange, he said, they would receive a miracle from God “about this time tomorrow.” Within seconds, all 200 phone lines were busy. 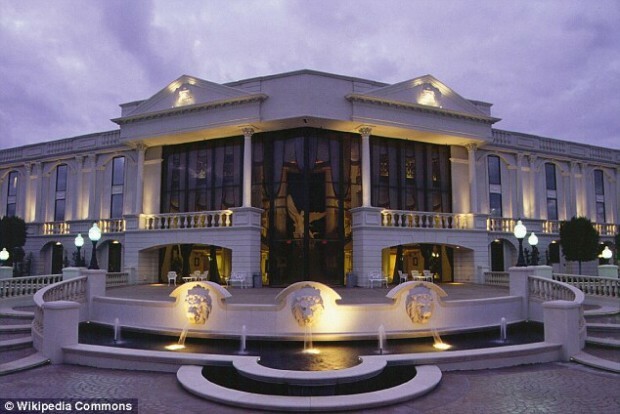 Ministry watchdogs have long questioned how TBN — which declared more than $800 million in net assets in 2010 — spends that wealth. TBN files reports with the IRS, but the Crouches run nearly two dozen other organizations that are harder to track and they operate extensively overseas, said Rusty Leonard, who founded Wall Watchers, an organization that monitors the financial transparency of church ministries to which its members donate. Wall Watchers gives TBN an ‘F’ for financial transparency and keeps them on its list of the 30 worst ministries. Allegations of lavish spending are central in the battle between the Crouches’ granddaughter and a debt collection company called Redemption Strategies Inc., which was incorporated by a TBN attorney. According to Koper’s attorney, the 26-year-old took over as chief financial officer at TBN after obtaining a master’s in business administration degree and quickly realized that its directors — her family members — were acting illegally. Koper sent a memo to the board detailing her allegations, but was fired within days, said the attorney, Tymothy MacLeod. Koper’s husband was sued by Redemption Strategies, which alleged he had embezzled hundreds of thousands while he worked at the family business. The debt collection company was registered with the state by a TBN attorney one day before it filed suit against Michael Koper. The case was dismissed, but not before Brittany Koper and two in-laws were added as defendants. Brittany Koper countersued, alleging that TBN’s attorneys formed Redemption Strategies to retaliate against her for whistleblowing. Her suit doesn’t list TBN as a defendant, but it alleges that Koper was fired and made to turn over her house, condominium, life insurance policy, car, furniture and jewelry as “an act of Christian contrition” when she complained about the financial misdeeds at TBN. A similar suit filed by Michael Koper’s uncle, Joseph McVeigh, alleges that TBN attorneys also targeted him as part of a campaign of retaliation. 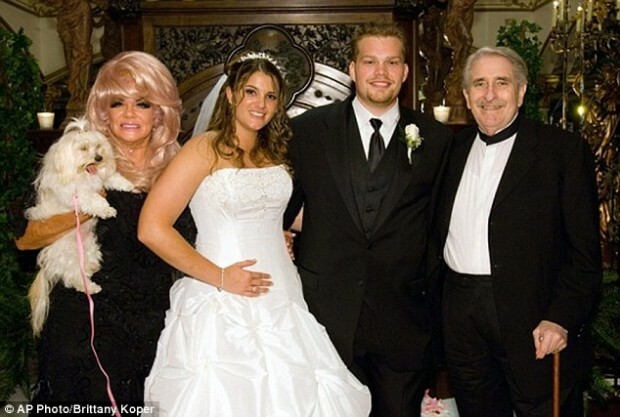 McVeigh’s suit names TBN as one of seven defendants and alleges that TBN bought a $50 million luxury jet through a sham loan; owns an $8 million Hawker jet for Jan Crouch’s personal use; bought a $100,000 RV for Jan Crouch’s dogs and has 13 mansions and homes around the U.S. for the Crouch family’s use. TBN attorney May called the McVeigh’s lawsuit a “tabloid filing” and said the allegations in both cases were “utterly and completely contrived.” TBN suspects McVeigh, who claims he received a $65,000 loan from the family empire, was working with the Kopers to steal money from the ministry, May said. The ministry keeps large amounts of cash in reserve because incurring debt goes against the Biblical exhortation to “owe no man any thing,” he said. TBN is no stranger to outside scrutiny. In 1998, the elder Crouch secretly paid an accuser $425,000 to keep quiet about allegations of a homosexual encounter. Crouch Sr. has consistently denied the allegations, which were first reported by the Los Angeles Times, and has said he settled only to avoid a costly and embarrassing trial. In 2000, after a five-year battle, a federal appeals court overturned a ruling by the FCC that found Crouch had created a “sham” minority company to get around limits on the number of TV stations he could own.